Downey Daily Photos: It's party time! Last week I was at the Stonewood Center doing a little shopping. 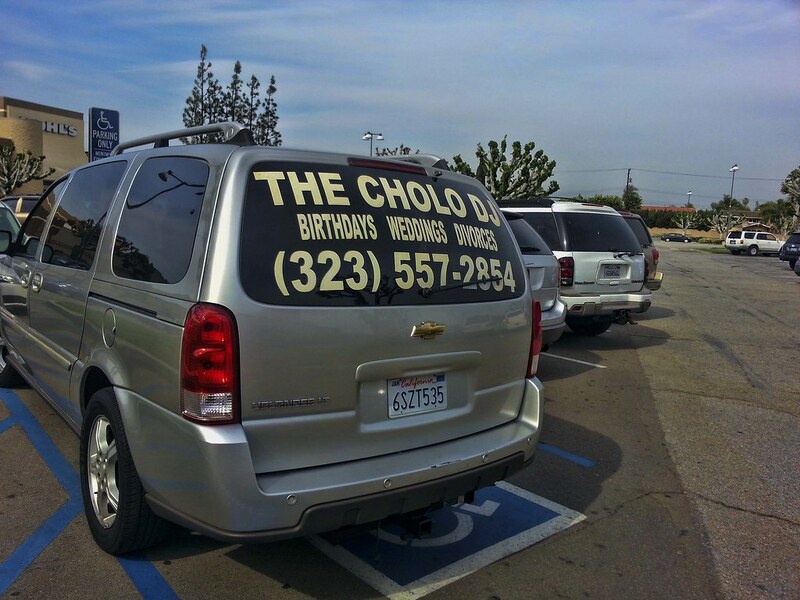 As we arrived, my friend noticed this van in the parking lot. I couldn't resist taking a picture. I must admit, hiring a DJ seems reasonable for both birthdays and weddings, but I have never heard of hiring a DJ for a divorce. Am I somehow out of some loop? Is this a "thing"?